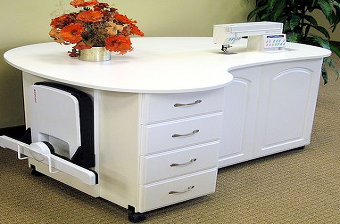 You'll love the convenience of the specialized sewing furniture you can find at Ace Sewing & Vacuum. Why keep dragging your sewing machine out to the dining room table when you can have a specialized table with tons of features instead? You'll find quality tables, caddies, and cabinets from top manufacturers when you visit our shop. 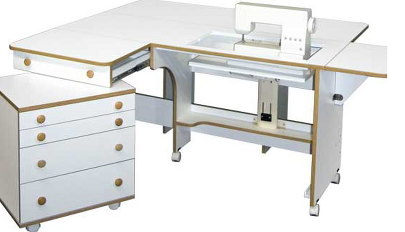 We can help you find the sewing furniture that fits your work habits and needs. When you shop with us, you get access to sewing furniture from some of the industry leaders. Follow us on Facebook to see the latest sales, classes, and project inspirations. 2414 Portland Rd, Newberg or 12185 SW Main St, Tigard.